At the top of the non-payment/bad debt risk curve are Orthopedic specialty medical providers. In fact, a recent athenahealth study on patient debt by medical specialty indicated that: "Among commercially insured patients, orthopedists depend most on patient payments, which account for 26 percent of their total revenue, followed by PCPs at 24 percent, cardiologists at 22 percent, ob-gyn practices at 16 percent, and pediatricians at 13 percent. Orthopedic surgery likewise is the specialty most likely to be affected by bad debt — defined as the amount that physicians are owed but fail to collect from insurance companies or from patients (who account for more than 95 percent of bad debt). Taking the entire sample into account, bad debt represented 6 percent of all physician payments in 2016." In more simpler terms, Orthopedic medical providers are particularly at a higher risk of increasing bad debt by not implementing patient revenue cycle solutions that facilitate a more retail-like healthcare consumer experience. Fortunately, patient revenue cycle vendors are stepping up and offering solutions and changes to the revenue cycle that allow Orthopedic providers to collect more patient out-of-pocket expenses up front, implement cost estimate protocols that clearly show a patient what they may owe after insurance processes a claim, and a clear, easy path to place payment-on-file to cover any future residual balances. In addition, Orthopedic medical providers need a streamlined and more effective means to collect past due balances and lower days in accounts receivable (A/R). 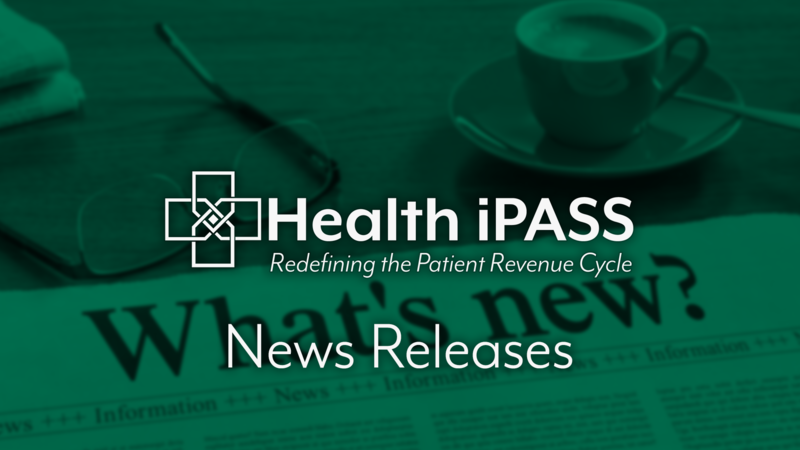 Today, Health iPASS announced a new partnership with Healthcare Information Services (HIS) specifically targeted at helping to optimize Orthopedic medical practice patient payment collections through an end-to-end solution that improves efficiencies and profitability. We are excited a the possibilities our partnership with HIS offers to fundamentally reverse the growing wave of patient bad debt for Orthopedic medical providers. HIS is even including the Health iPASS patient revenue cycle solution as part of it's complete revenue cycle management services at no additional cost! To read more about the partnership details and information on the front to back-end patient revenue cycle solution, please read the release here. The strength of their revenue cycle management and decades of experience HIS offers is a strong complement to the innovative, market tested Health iPASS patient revenue cycle solution. Health iPASS has already been quickly expanding our footprint in Orthopedic medical provider revenue cycle management, the partnership with HIS only strengthens our position as a market leading patient revenue cycle provider. We would enjoy the opportunity to consult with you to determine if the Health iPASS/HIS solution is a good fit for your practice, whether it's in Orthopedics or another medical specialty. Click below to set up a quick demo and a consult with one of our revenue cycle experts to assess your financial situation and put you on a track to radically improve your patient payment collections.